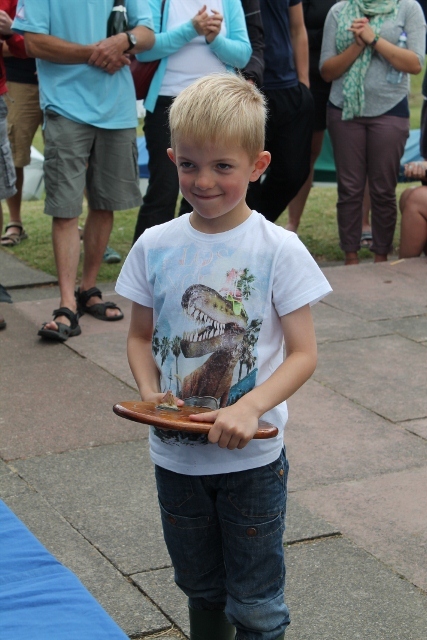 The final race of the regatta had some exciting sailing conditions to determine the overall winners of eight of the ten fleets. The rain held off till the end of the race when there was a heavy downpour to frustrate those campers that had not taken down their tents/awnings. 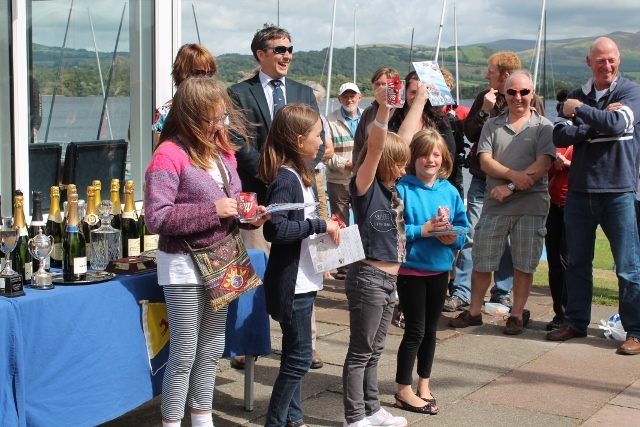 However, it quickly cleared and the final prize giving was held outside. The Commodore gave thanks to the ‘army’ of committee chairs and helpers that had worked so hard to deliver another successful Bass Week. 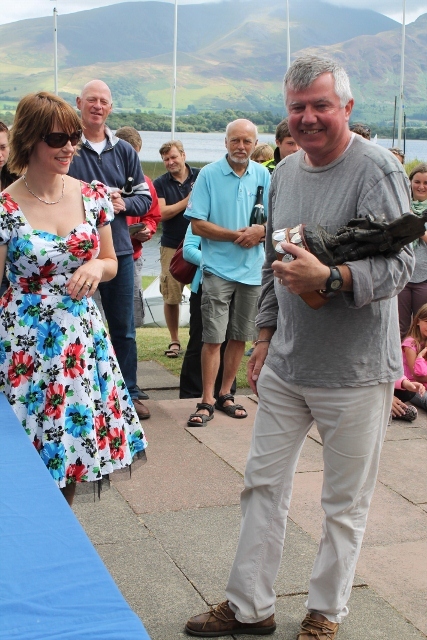 His wife Emma then presented the prizes. 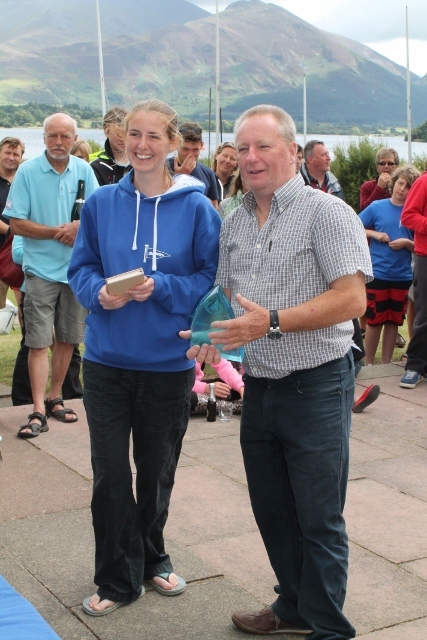 In addition to the winners of the weekend series, presentations were also made to those on the Beginner Training course, and some special awards for overall performance during the regatta. ‹ What a busy day!